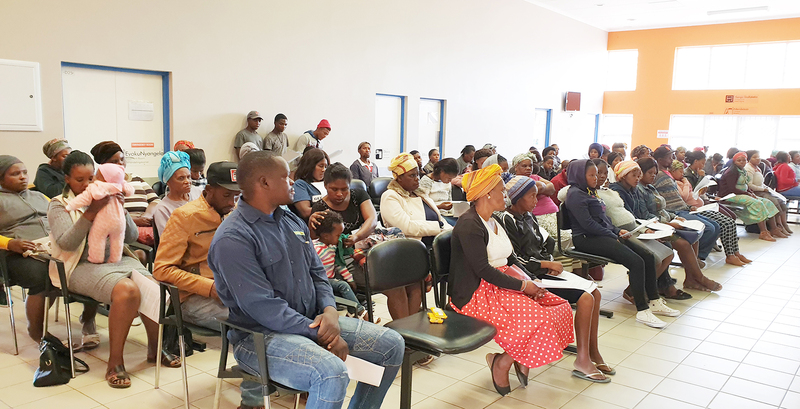 Environmental Health Practitioners (EHPs) from the Garden Route District Municipality’s (GRDM’s) Community Services Department recently held a communicable disease awareness session at Kuyasa Clinic in Thembalethu, George. Educational talks were delivered by Ms Jessica Erasmus, Mr Gcobani Tshozi and Ms Wandile Magwaza from the Wilderness region – one of the eight (8) areas served by the GRDM. A total of approximately 150 adults, who were present at clinic, including staff members, were educated during the session. The district distributed pamphlets to everyone and discussed each topic in length in English and Xhosa. Cholera was especially emphasized because of the recent outbreak in Mozambique. It is important to keep abreast with what is happening in and around South Africa because people migrate all over the continent which can cause the further spread of communicable diseases. Community members at the Kuyasa Clinic in Thembalethu who were educated about communicable diseases. Ms Jessica Erasmus, Garden Route DM EHP is featured in the middle. The main focus area of the day was good hand hygiene practises. It stays one of the central points of preventing the spreading of germs. Proper hand-wash steps were explained and demonstrated. One of the most important personal hygiene habits that the community needs to be reminded of and educated about, is how to properly wash their hands. During the session, it was explained how germs are transferred from one item to another, merely by touching it. A person who touches his/her food with hands which had been in contact with contaminated areas can lead to a range of illnesses. Proper hand-washing with soap and water is a simple. It is the easiest method used to get rid of disease-causing bacteria on surfaces. Hand-washing is not only important after eating, playing or any other activities, but especially before such activities too. The district firmly believes that prevention is better than cure and by instilling a culture of good hand hygiene, the health of communities will improve. 001 Community members at Kuyasa Clinic educated about communicable diseases. 002 Community members at the Kuyasa Clinic in Thembalethu who were educated about communicable diseases. Ms Jessica Erasmus, Garden Route DM EHP is featured in the middle. The residents of Zoar in Kannaland will now be able to store their potable water in proper containers, after the Executive Mayor of Garden Route District Municipality (GRDM), Cllr Memory Booysen, handed over 850 x 20 liter water containers to Kannaland on Friday, 15 March 2019 at the Library Hall in Ladismith. Assistance to Kannaland by GRDM was supported by the full Council of GRDM. Executive Mayor of Garden Route District Municipality, Cllr Memory Booysen, addressing the delegation and officials during the handover ceremony. The potable containers were handed over to the Executive Mayor of Kannaland, Cllr Magdalene Barry, in the presence of the Western Cape Minister of Environmental Affairs and Development Planning, Mr Anton Bredell, Western Cape Minister of Agriculture, Ms Beverly Shafer, officials from GRDM and Kannaland Municipality, as well as farm owners and community members of the area. The delegation and officials during the discussions prior to the handover ceremony. Mr Gerhard Otto, Manager of Disaster Management of Garden Route DM, during the event, also sketched the dire situation of the dams in Kannaland and thereafter a farm owner raised concerns on how the situation resulted in job losses and affected food security. Mr Willem Burger from the Western Cape Department of Agriculture, delivered a summary of how the Department assisted Kannaland through support programmes and projects rolled out in the area during the past years. GRDM Manager of Disaster Management, Mr Gerhard Otto, Portfolio Chairperson of Properties and Asset Management at GRDM, Cllr Joslyn Johnson, Western Cape Minister of Environmental Affairs and Development Planning, Mr Anton Bredell, Western Cape MEC for Agriculture, Minister Beverly Shafers, Speaker of Kannaland Municipality, Ms Aletta Theron, Executive Mayor of GRDM, Cllr Memory Booysen, Executive Mayor of Kannaland, Cllr Magdalene Barry and GRDM Councillor, Cllr Albertus Rossouw, in front of the truck, with three tanks, that delivers water to the Zoar Community. During his address at the handover ceremony, Mayor Booysen emphasised and specifically highlighted to all present about negotiations for a district wide developmental project, which the GRDM is currently busy with. Mayor Booysen said that the project will generate approximately R100 million for the Garden Route district. Although it will mostly affect the coastal areas, he added: “As soon as we receive the accreditation as water service authority, we will then be able to change the focus of the negotiations to address the needs of the Kannaland community, especially the drought and food security, amongst others”. To the farming representatives and all officials present, Mayor Booysen said: “We will need your skills and knowledge to assist us in leading the negotiations into a direction required to address these challenges”. During the event, Minister Bredell, also announced his plans and what his Department has in store for the community of Kannaland. Bredell admitted: “The only solution to address poverty is job creation”. 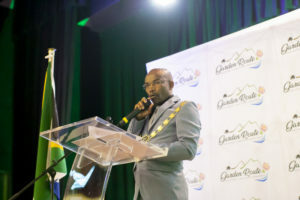 He added: “With the resealing of the road between Calitzdorp and Oudtshoorn, as well as the building of a new clinic, jobs will be created – these projects amount to R 38 million.” To address the drought in the area, he added: “We plan to drill two boreholes (R3.4 million) and plan to rehabilitate the waste water treatment plant that will amount to R195 000”. The Zoar waste water treatment works (R745 000) and also the Calitzdorp waste water treatment works (R1.5 million) is also on the priority list. “Through these initiatives, it is important that we prioritise job creation as part of these projects,” Bredell added. As part of their itinerary, the delegation then visited farms in the area to witness the current situation and affects of drought in the area. Ms Aletta Theron, Speaker of the Kannaland Council, directed the hand-over programme and extended a word of appreciation to the delegation and representatives who attended the ceremony. On 13 February 2019, a resident of Rondevlei via a local newspaper reported a number of bird deaths in the Rondevlei area in close proximity to Divisional Road 1614. The resident alluded to the possibility of the herbicide used by the Garden Route District Municipality: Roads and Transport Planning along the road reserve for Divisional Road 1614 being the cause of the aforesaid bird deaths. Lab tests have indicated otherwise. On 15 February 2019, SANPARKS informed the GRDM that the bird deaths were caused by a disease known as avian botulism. Avian botulism is a neuromuscular illness of birds caused by a toxin that is produced by the bacterium Clostridium botulinum. Fish-eating birds are poisoned by eating fish that contain the toxin. Ingestion of maggots from the carcass of an infected animal can continue the spread of avian botulism. Avian botulism is most prevalent during summer months. The decease cannot be transmitted to humans, but as a precautionary measure SANPARK rangers collected the carcasses daily. The decease cannot be transmitted to humans, but as a precautionary measure SANPARK rangers collected the carcasses daily. SANPARKS also indicated that a statement will be released. Various departments in the GRDM responded promptly to establish the cause of the bird deaths, and to determine whether the GRDM held any liability therein. Although we could establish that the deaths were not caused by herbicides used by the GRDM: Roads and Transport Planning Services, we will endeavour to exercise caution in the selection of the herbicides that are used for road reserve management and the effect that it may have on the receiving environment. Public hospitals in the Garden Route have recently reported an increase in Enteroviral Meningitis cases. In South Africa seasonal peaks occur especially in warmer months. George Hospital has seen a total of 71 patients with suspected enteroviral meningitis since 1 February 2019. Eleven cases have been confirmed by the laboratory. Most of these cases are children under 14 years of age. Another sub-district with an increase in suspected enteroviral meningitis cases is Mossel Bay. Mossel Bay Hospital has seen a total of 19 cases of suspected enteroviral meningitis since 1 February 2019. Knysna Hospital has also seen an increase in cases with a total of 66 suspected cases of enteroviral meningitis. None of the cases were from a single geographical area or source. This is not the bacterial form (known as meningococcal) of meningitis. No deaths and no cases with serious complications have been reported to date. 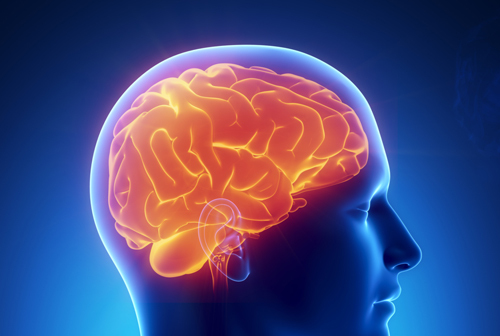 Meningitis is an infection of the fluid that is found in the spinal cord and that surrounds the brain. It is usually caused by an infection with a virus or a bacterium (micro-organism). Enteroviruses are the most common cause of viral meningitis worldwide. It is a common virus that can enter the body through the mouth and travel to the brain and surrounding tissues. It is a mild illness and the majority of ill people will recover within a week (7 – 10 days). People of all ages are at risk. However, the risk of getting the disease is higher in individuals who are immune compromised and children less than 5 years old. Common symptoms of enteroviral meningitis in children include fever, poor eating, irritability, lethargy (lack of energy) and sleepiness. Adults may present with fever, stiff neck, headache, dislike of bright lights (photophobia), lethargy, sleepiness, and lack of appetite, nausea and vomiting. 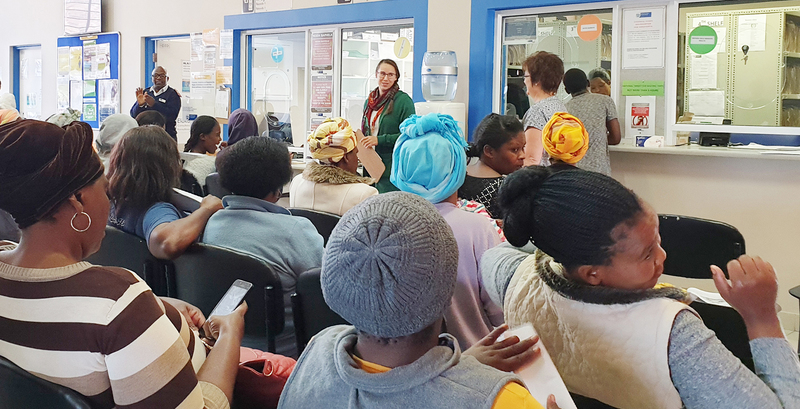 Western Cape Government Health has strengthened its efforts within the affected sub-districts with a focus on handwashing and general hygiene. Community Health Workers have also been trained around the reinforcement of hygienic practices. Good hygiene practices including hand washing after using the toilet, changing nappies or visiting sick people and disinfection of surfaces will reduce the chances of getting an enteroviral infection. Covering your cough or sneeze, and washing hands thereafter is also helpful. How can you prevent getting infected? Hand hygiene (regular handwashing with soap and water) and good personal hygiene helps to prevent infection with many viruses including enteroviruses. Wash hands with soap and water after using the toilet, before preparing food, and after sneezing and coughing. Adults should teach and encourage children to wash their hands properly, and emphasise regular handwashing when children are at school and in contact with many other children. Although sewage effluent contains high levels of essential plant nutrients and minerals that stimulate growth, the use of effluent however also poses several short-and long-term health threats to the user. Effluent is mostly applied for irrigation during dry seasons with rapid evaporation of water, leaving behind high concentrations of non-biodegradable chemicals, which gradually drain into the groundwater and remain active for long periods of time, rendering it unfit for use. The practice of re-using treated sewage effluent in times of great water scarcity and drought conditions is recognised internationally. This is mainly evident in the agricultural sector where sewage is diverted for irrigation of crops, orchards or even on recreational sport fields. This practice has now been extended to the irrigation of local household gardens. Local entrepreneurs are exploring this trade of distribution of sewage effluent. With the current water scarcity situation, this trade may be seen as an alternative water source as opposed to fresh water from the municipal distribution system. Section 24 of the CONSTITUTION OF REPUBLIC OF SOUTH AFRICA, (ACT NO. 108 OF 1996), states that everyone has the right to an environment that is not harmful to their health or well-being. According to the World Health Organization (WHO), there are significant health implications associated with the use of sewage for irrigation. These “sewage chemicals” contain domestic, industrial, pharmaceutical and hospital waste discharges. 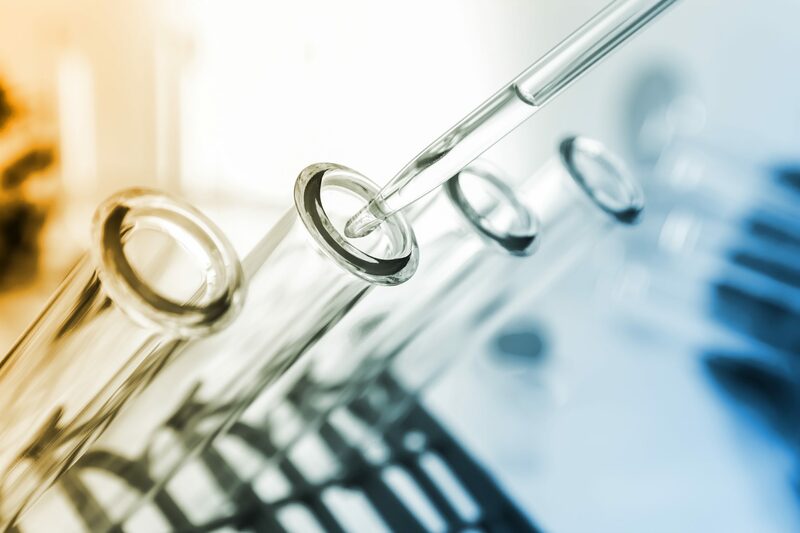 The following chemicals may typically be found: salts, minerals, heavy metals, pesticide residues and synthetic compounds such as disinfection by-products, pharmaceutically active chemicals such as endocrine disrupters and various acids. Some chemicals, for example, bromodichloro-methane, may be associated with miscarriages in women, while heavy metals may accumulate in the leaves or roots of many vegetables, posing risks to human health when consumed. Furthermore, sewage effluent (especially when inadequately treated) also contains high levels of micro-organisms such as bacteria, viruses and parasites, of which the majority may pose a serious health threat after exposure/ingestion. Bacteria such as Salmonella, Shigella, Clostridium, several strains of Eschericia coli, and Vibrio cholera, as well as entero-viruses such as polio-, echo and coxsackie viruses are recognised human pathogens. 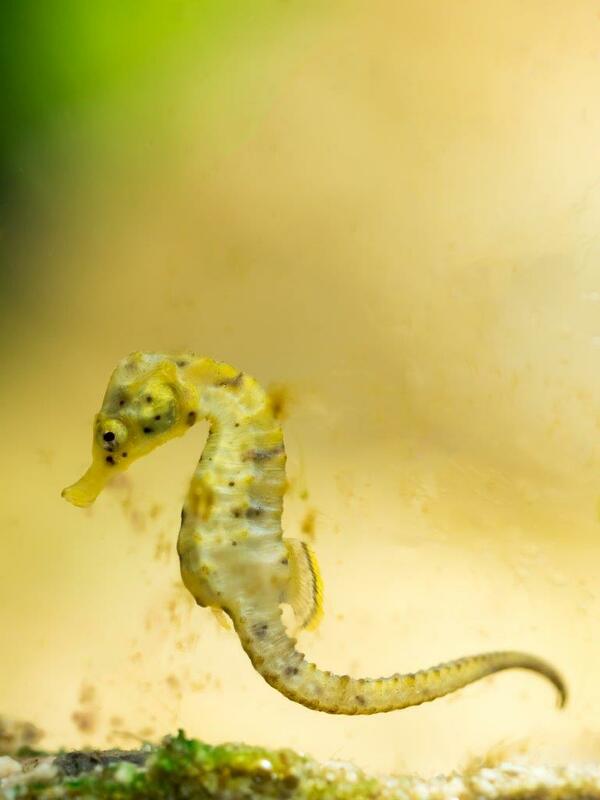 Parasites or their microscopic ova, such as hookworms, roundworms, tapeworms and bilharzia are commonly found. The majority of these micro-organisms have the ability to remain viable and infective for periods up to 30 days and some even as long as several months. While the reuse of sewage effluent seems to be sensible in times of water scarcity and may even look good as a long term solution, contact exposure to this water source or soil and plants or irrigated playgrounds and lawns may pose a serious health risk to keen gardeners and recreational sport field users. Symptoms may include diarrhoea, fever, generalised infections, infections of skin abrasions, malnutrition from worm infestation, to more serious long term effects from ingestion of aforementioned chemicals and heavy metals. Whilst the serious water shortage in the Garden Route region is recognised, the continued use of sewage effluent as source of irrigation for household gardens and crops is not recommended. Please contact the Municipal Health Section of the Garden Route District Municipality for further information at 044- 803 1300. According to World Health Organisation statistics, an estimated 600 million people in the world fall ill because of contaminated food. A shocking 420 000 of these cases result in deaths. 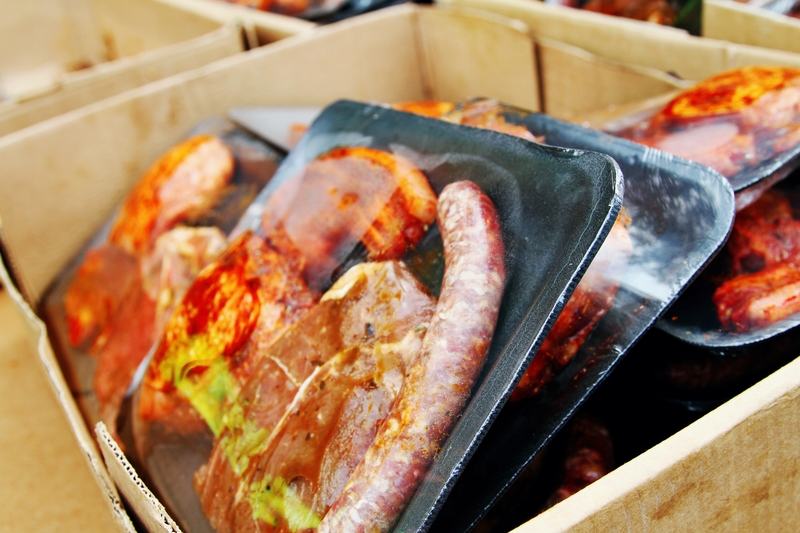 The National Department of Health is responsible for ensuring the safety of food in South Africa. To this end, the Department promulgates relevant legislation to regulate the production, distribution, and preparation of food. New innovations in food production, as well as the re-emergence of food-borne diseases, require that legislation is amended to address changing conditions and environments. 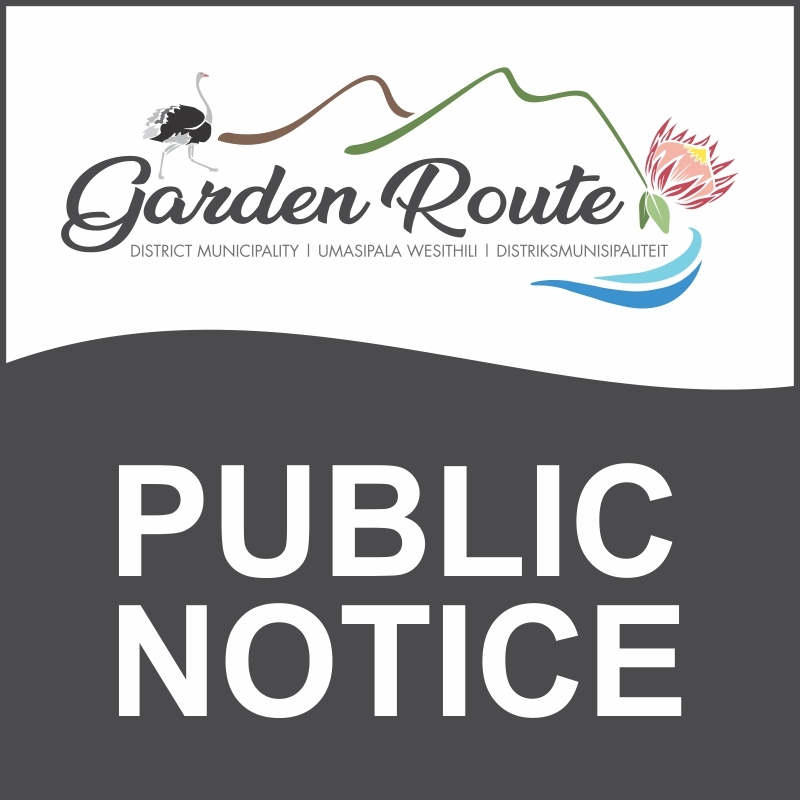 The Municipal Health Department of Garden Route District Municipality has the legislative responsibility to enforce Regulation 638 in its area of jurisdiction. With the additions to Regulation 638, it is deemed necessary to communicate the application of the regulation to the general public. Take note: Regulation 638 replaced Regulation 962 of 23 November 2012 and Regulation 918 of 30 July 1999. Certificates of Acceptability (COA) issued in terms of repealed regulations, expire on 22 June 2019. This means that all food premises, new and existing, have to be in possession of a new Certificate of Acceptability issued under Regulation 638 by said date under the name of Garden Route District Municipality. Regulation 638 is applicable to every establishment that handles, prepares, transport and/or sells food to the general public. Accordingly, all such establishments are required to be in possession of valid Certificates of Acceptability (COA). a Certificate of Acceptability must be clearly displayed on the food premises for which it was issued. Should display of a certificate be impractical, it should immediately be made available upon request by the Environmental Health Practitioner or the general public. How do I apply for a COA? A fully completed, written application form has to be submitted to the relevant local District Municipality, in this case, the Garden Route District Municipality. An amount of R190.00 is payable as an administration fee for the 2018/2019 financial year. premise concerned, complies with the provisions of Regulations 5 and 6; a local authority in all respects, he or she shall issue a Certificate of Acceptability in the name of the person in charge. Does one need specific or specialised training as the person in charge of food premises? He or she and any other person working on the food premises, are suitably qualified or otherwise adequately trained in the principles and practices of food safety and hygiene. 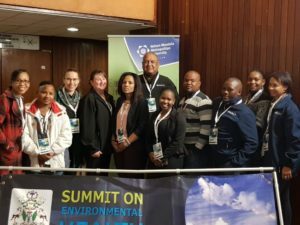 The training must be conducted by an accredited training provider or by an Environmental Health Practitioner of the relevant District Municipality; in this case Garden Route District Municipality. Assessments are conducted to determine the impact of the training. Training programmes and records are kept and routinely updated and are made available to an Environmental Health Practitioner on request. Evidence of accredited training must be submitted to the relevant District municipality before/on 22nd June 2019. Please contact the Garden Route District Municipal Health offices in your area, should you need more information with regards to any aspect of the Regulation. The recent collaborative “Blitz” operations that were undertaken by various stakeholders, to inspect the informal ”spaza shop” sector, prompted Environmental Health Officials (EHPs) of the Knysna Municipal Health Services to assist South African citizens from foreign countries that are currently conducting business within the greater Knysna, with health and hygiene awareness. Initially, the language barrier was a huge challenge which exists between foreigners, especially the Moslim communities from Bangladesh, Somalia and Ethiopia. This inspired EHPs from the Knysna office to design and compile a Health and Hygiene Awareness poster in the most general – spoken Arabic dialect. These posters will assist shop owners with the legal requirements that are required within the applicable legislation as prescribed by the Foodstuff, Cosmetics and Disinfectant Act, Act 54 of 1972. Mr James McCarty busy to train and educate the members of the Moslim business sector. Procuring foodstuff from certified retailers. 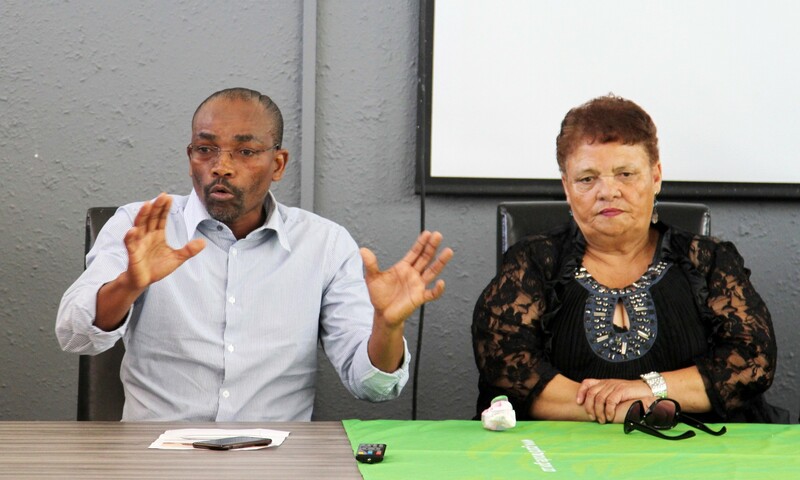 This project is aimed towards the 2018 World Environmental Health Day theme of, “Global Food Safety and Sustainability” and will be rolled out to the other local authorities within the Garden Route District. On Friday, 16 November 2018 during a ceremony that was held in Hornlee at the Knysna Musallah Mosquee, the posters were handed over to the designated representatives of the Moslim business sector community of Knysna by the local Environmental Health Practitioners, Mr James McCarthy and Mr Linden Herwells. During the ceremony, the local Muslim business sector and the Imam of the Knysna Musallah expressed their gratitude towards this gesture. They also committed themselves to provide safe food to the community of Knysna. Section 24 of the CONSTITUTION OF SOUTH AFRICA, 1996, (ACT NO. 108 OF 1996) states that everyone has the right to an environment that is not harmful to their health or well-being, and to have the environment protected through reasonable legislative measures. Environmental Health Practitioners are appointed in terms of the NATIONAL HEALTH ACT, 2003 (ACT NO 61 OF 2003) and has the legislative responsibility to enforce legislation to protect the general public. Environmental Health Practitioners perform functions as listed in the SCHEDULE OF THE SCOPE OF PROFESSIONS OF ENVIRONMENTAL HEALTH (GOVERNMENT NOTICE R888 OF 26 APRIL 1991). Nine (9) key performance areas are listed as the roles and functions of Municipal Health Services of which one is the disposal of the dead. The disposal of the dead is governed by THE REGULATIONS RELATING TO THE MANAGEMENT OF HUMAN REMAINS, NO. R.363 OF 22 MAY 2013 (R363) promulgated under the NATIONAL HEALTH ACT, 2003 (ACT NO 61 OF 2003). The management, control and monitoring of exhumation, reburial and the disposal of human remains. 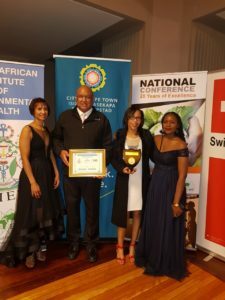 The Municipal Health Department of the Garden Route District Municipality is responsible for the issuing of a Certificate of Competency to an operator who carries out any of the abovementioned activities. A written application must be submitted to the relevant authority in the area of jurisdiction where the premises is located (Garden Route District Municipality). After evaluation and careful consideration of the application, an Environmental Health Practitioner will conduct a site visit. If the Environmental Health Practitioner is of the opinion that the premises comply with the relevant legislation, a Certificate of Competence will be issued for a premises. Take note: a Certificate of Competency is valid for a period of two (2) years from the date issued, therefore the Owner or Manager must apply in writing for a new certificate. New funeral undertakers are required to follow a public participation process, before submitting an application for a Certificate of Competence. A notice must be published in the local newspaper, not less than 21 days, before submitting an application. The notice must be published in the main language of the area, as well as an additional language. The notice shall contain all the relevant information of the local authority where the application will be submitted, to allow the opportunity for the public to submit any comments with substantiated representations to such local authority. Facilities for backup source electricity, in the case of power failure. No exhumations and reburials of human remains shall take place without the written consent and/or approval from relevant local government or a court order issued by a magistrate. An exhumation approval cannot be issued without a reburial permit. These permits shall only be granted on condition that the exhumation of the human remains is done by a registered undertaker. When the cemetery is not open to the public. Under the supervision of the officer-in-charge. In the presence of a member of the South African Police Services (SAPS). Under the supervision of an Environmental Health Practitioner. It is the responsibility of the Environmental Health Practitioner to monitor the process to ensure that no health nuisance or hazard is caused and/or arise during the exhumation. Any complaints related to the operations and/or activities of funeral undertakers, mortuaries or crematoriums, must be logged at the respective Regional offices within the Garden Route District Municipality.